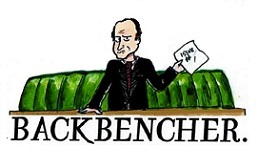 The Backbencher – Arsene Wenger and George Osborne share a common feature: they are both massively overrated. Arsene Wenger and George Osborne share a common feature: they are both massively overrated. Premier League titles for Arsenal fans to boast about have been non-existent recently. No major wins in Europe, and for such an expensive ticket price, world class signings and a well-regarded manager, you might expect some continental glory. Domestically, Wenger has won just enough to keep his clock ticking and in doing so muzzled the most vociferous critics from becoming mainstream opinion. Even so, this has not been enough for the Arsenal boss to cement a “world class” legacy. And yet until recently, much the same could be said about George Osborne. If politics were chess, then the Chancellor would be considered a Grand Master; but alas, a Grand Master lacking the much needed Premier League silverware to back that status up. Both men have more in common than initially meets the eye. They are considered by the media to be at the pinnacle of their profession but are viewed by their grassroots as largely overrated; and at this moment both of their careers have nose dived into troubled waters. Wenger’s biggest success in Europe was an unfortunate second place to a technically pristine Barcelona squad. Domestically, and to his credit, he has bagged a couple of FA cups of late, but that has not been enough to keep the majority of Arsenal fans on his side. In the league, Wenger’s last Premier League victory was in the 2003/04 season, and since then they’ve been trailing in third and fourth place consistently. Arsenal fans are sick of third and fourth place – his faithful have lost their faith and they want Wenger replaced with someone who can bring in real results. Osborne, like Wenger, is hailed by much of the media as a genius. A political mastermind with the ability to overstep his opponents with a wrong foot and leave them dazzled about what just happened. In fact, many of Osborne’s problems are based on journalists viewing him as a political tactician, rather than a Chancellor who is willing to roll his sleeves up and get muddy. Under the last government Osborne initiated his own problems. He declared that he would remove the deficit in his first five years in the job. The media told the country that the fiscal teeth were about to bite and that society would go through major reform. The cuts didn’t happen: we were told about the doom and gloom of austerity but Government spending rose from £673 billion in 2010 to £732 billion in 2014. Osborne missed his chance. The fiscal knife should have been stuck into the fat when the country was braced for austerity. Instead there were no real cuts; every year the government spent more than the previous year. Nevertheless the Tories and Mr Osborne were still damaged by “austerity” cries in the PR and media cycles. The government was depicted as out of touch and heartless, despite it actually increasing government spending. And as such, Mr Osborne took the full brunt of a policy which never actually happened. He paid for his mistakes then and he is paying for those mistakes now. Osborne should have been more like Wenger, and Wenger more like Osborne. The Chelsea-supporting Chancellor may even be better off in a football role. At the Emirates sits a manager who does not want to spend money, and in the Treasury sits a Chancellor who can’t stop spending. Arsenal fans are desperate for Wenger to break the bank and sign a world class striker with a consistent record of twenty plus goals a season, whilst the Conservative grassroots are frantic for the Chancellor to stop dithering and finally put an end to the deficit. The interest repayments on the public debt currently exceed the nation’s Defence budget. We pay £46.7 billion a year to fund our interest repayments, which constitutes 6% of our total government spending. That’s £46.7 billion per year which is thrown into a black hole and reaps zero rewards. Until this major key performance indicator is finally eradicated, there will always be a question mark over the Chancellor’s legacy. Yes he was quick stepper on political rhetoric, but he failed on balancing the books – the one KPI which a Chancellor in his position should be measured on. Everything else is secondary until that time comes. The same has applied with Wenger. The FA Cup wins of late are a small victory for Arsenal as it’s not the real win that they are seeking. It’s a nice trophy but it doesn’t illustrate the club as being of world class standing. Am I afraid of failure? He is a specialist in failure. I’m not. So if one supposes he’s right and I’m afraid of failure, it’s because I don’t fail many times. So maybe he’s right. I’m not used to failing. But the reality is he’s a specialist because, eight years without a piece of silverware, that’s failure. If George Osborne misses his second target on the deficit then there should be absolutely no doubt that he has failed in his role as Chancellor. His political traps and rhetoric are secondary when we look back and view his record in the Treasury. The job he set himself is to eliminate the deficit – so far he has failed badly on this frontier.